Obituary for Mary G. (Alleman) Lesher | Harold M. Zimmerman And Son Funeral Home Inc.
Mary G. (Alleman) Lesher, age 84, passed away on Saturday evening November 24, 2018 in Brookview at Menno Haven in Chambersburg, PA.
Born January 7, 1934 near Greencastle, PA., she was the daughter of the late Norman and Eva (Spangler) Alleman. She was married to Marvin M. Lesher on February 28, 1953. Mary was employed as a sales associate over the years at Newberry’s, Christian Light Bookstore, Park Ave. Pharmacy and Matthew’s Hallmark. 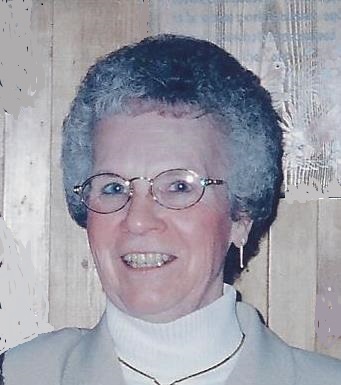 She was an active member of Chambersburg Brethren In Christ Church, and earlier at Montgomery Brethen in Christ Church. Mary’s interests included tending her immaculate gardens and sewing. She created many handmade, matching dresses for daughters. Most of all she loved spending time with her beloved husband. Surviving family in addition to her husband are four daughters Maxine L. (William) Gindlesperger of Chambersburg, Marlene A. (Steve) College, Shippensburg, Marsha F. (David) Johnson, Chambersburg, Melinda K. Bender, Shippensburg; six grandchildren, ten great-grandchildren; three brothers, Paul Alleman, Chambersburg, Glen Alleman, Chambersburg and Nelson Alleman, Atlanta, Georgia. In addition to her parents, she was preceded in death by her sisters, Erma Gettel, Betty Yeager, Anna Rife and in infancy, Helen.